Learning Activities: Martin Luther King Jr.
Monday is Martin Luther King Jr. Day and my kids will all be home to commemorate the man that gave so much to help make this world a more inclusive and equal place. My older kids will of course know about Martin Luther King Jr. from class, but it is an excellent time to teach my younger kids all about him. My older kids can get involved in the lesson and share with their siblings the knowledge they already have. This is an excellent way to not only get the younger kids interested, but also to improve the older kids’ knowledge by making them teach it. 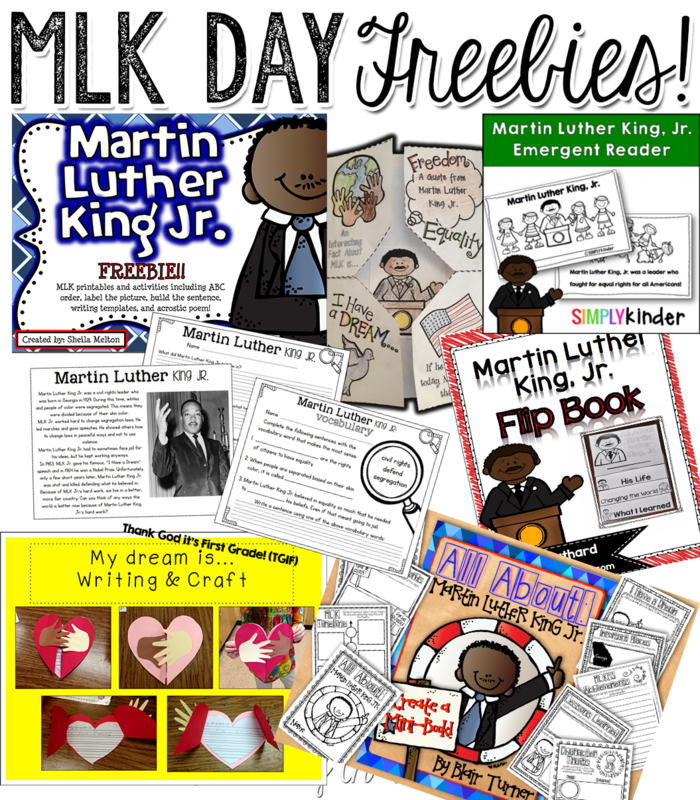 I found a log that has many wonderful ideas for activities and lessons for learning about Martin Luther King Jr. Learning In Wonderland has so many ideas, it even has age appropriate lessons for each learning/grade level. Learning In Wonderland also has some incredibly cool free printables that will aid you in your lesson. Growing up learning about MLK was always one of my favorite lessons. So many lessons we learn in school do not really affect us. We learn things that are old, or that we think we will never need (like algebra I still have not needed it on my daily life and I am in my mid 30s). However, the story of MLK is universal, and it never stops being important. I remember learning about it with a teacher that made the lesson so obvious to me. I was only about 7 years old, and this teacher (the only male teacher I had until high school) brought eggs out for the lesson. We each had a different colored egg, there were blue ones, brown ones, yellow ones, and white ones. He gave us a bowl and told us to crack the egg open. When we opened our eggs they all looked the same. There was nothing different about them at all. It stuck with me. So this monday I will choose a special activity from Learning In Wonderland and I will share it with my kids. I may even let them crack a few eggs, just so that they can see that while we may look different on the outside we share the same hopes, dreams, and we can all make a difference in this world just like MLK. This entry was posted in Activities, Learning and tagged Activities, equality, inclusivity, l;earning, Learning in wonderland, lessons, martin Luther King jr, MLK, MLK day, MLK lessons, school lessons, teaching, the boys store on January 19, 2019 by Lacy.